Easily manage your files by creating a simple folder structure. 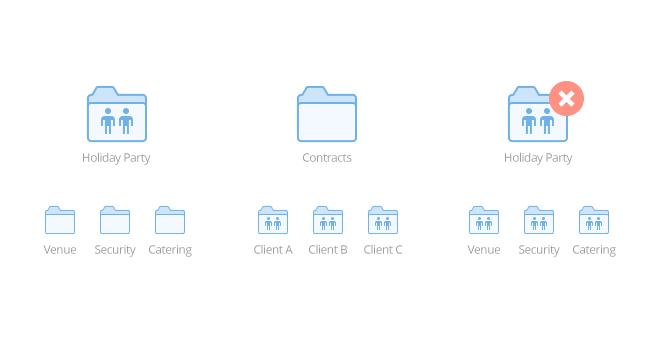 Dropbox isn't like traditional file solutions - so you don't have to structure your folders the traditional way, either. 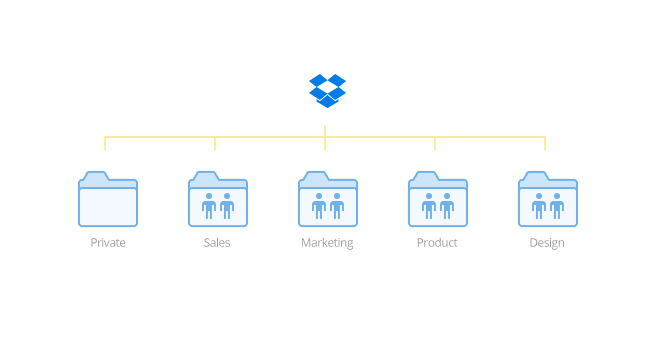 There's no "right way" to set up your Dropbox, but here are some best practices to keep you and your team organized. When stuff is stored in your Dropbox, you can access your work from anywhere and easily share it with others. Unshared: By default, all folders are unshared. Only you can see these folders. Shared: A shared folder is a community space where members can collaborate together on the same files. Team: A special type of shared folder that only Business admins can create, these automatically appear in your Dropbox when you join a team. 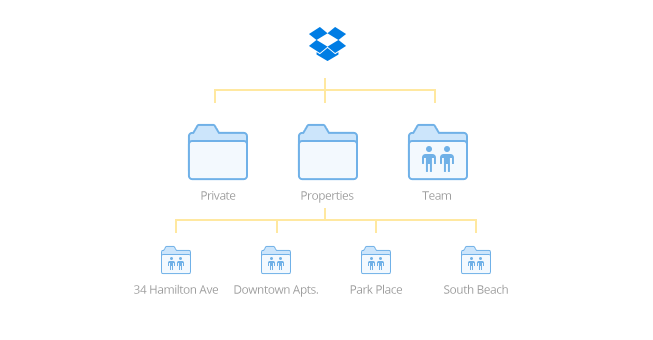 With Dropbox, you can share either a top-level folder or its sub-folders, but not both. Check out the diagram above for some examples. The third example will not work because the "Holiday Party" folder and the folders inside it are both shared. Organize your folders by department, so team members only see the documents related to their work. 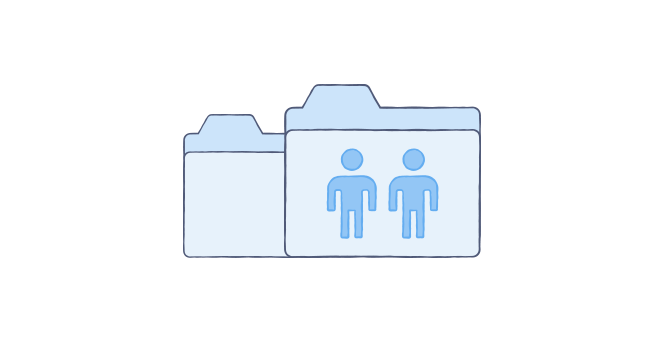 Creating a shared folder for each project or client lets team members coordinate with specific members without worrying about giving the wrong person access.